Music Monday: Hot or Not? I find myself immersed these days in finding the perfect tune. There’s just so much Alterna-Desi music out there, it’s hard to narrow it down to just one artist this Monday. So, I won’t. Today you get seven. First on the line up is Ami Dang. I saw Ami perform this past Saturday night at a warehouse art space in shady part of Oakland as she finished up the tail end of her international tour promoting her debut album Hukam. A Sikh American woman out of Baltimore, Ami takes her classically trained vocals and sitar skills and merges them with electro-ethereal loops and riffs creating oddly familiar yet alien music. You can get her album here, follow her at @amidang and check out her profile in the City Paper. Ami Dang // Where Nothing Grows from Mark Brown on Vimeo. Next is my girlcrush Shilpa Ray and her Happy Hookers. With a name like that, how can you not be intrigued? She is back for a second time, rocking out the harmonium like a bat out of hell on the way to the Rocky Horror Picture Show. This NYC based group released their album Teenage and Torture on Jan 18th (available here), and you can download a free track right here. I kind of love the tortured sound of this song. Follow her at @ShilpaRayandHHH. In the world of comedy, our friend (and previously written about) Rasika Mathur has released her first album The Sari (W)rap. Think of it like an Adam Sandler musical comedy album, but he’s brown, female and can do really good accents. Released in November, her album tackles such hard hitting issues such as backing up your hard drive with Back That Thing Up or the R. Kelly-esque song I’m Goning to Kama Sutra. The video for the single The Threading Rap was just released by Rukus Avenue and if you look closely and you may find a cameo in there. You can download her album off of iTunes. Find her at @rasiras. This past Friday, Bay Area Sikh-American hip-hop lyricist Mandeep Sethi dropped his latest album Poor Peoples Planet, a concept album produced by X9 of Xitanos Matematikos that weaves in the teaching Jiddu Krishnamurti, Punjabi gypsy origins, and classical elements of hip hop. At only 22 years old, Mandeep has already developed a strong base of followers having appeared on stage with artists such as Ziggy Marley and Dead Prez and having jumped on the mic with folks I’ve written about before such as Humble the Poet, Sikh Knowledge and Ras Ceylon. 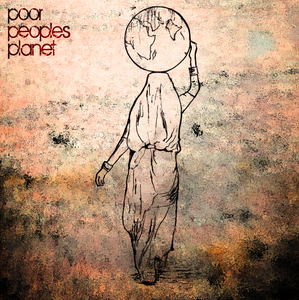 You can get Poor Peoples Planet on iTunes later this week and if you visit Mandeep’s BandCamp you can download the album now. Still not sure? Check out the single below Moving Swiftly, Guerrilla Tactics. Full disclosure, I’ve been helping get the word out for Poor Peoples Planet and am excited to support a young Desi American whose lyrics are smart, conscious, and inspired by the hyphenated identity. But in the course of hanging out with Mandeep this week, I was really impressed to find out that he is one of the co-founders of Slumgods. Based in India, Slumgods was founded in 2010 as the first B-Boy collective in India bringing together emcees, breakers, artists of India and America. The Slumgods are bringing it hard and fresh using the the five elements of hip hop as a tool of empowerment for the slum youth in the Dharavi slums with a community center called Tiny Drops Hip Hop Center. On his right forearm he has this tattoo. I didn’t recognize it at first – a four by four of solid black squares. “It’s the squares to my drum pad,” Sikh Knowledge said, pointing casually to his arm. It made sense – he was a reggae dancehall musician that loved to produce music. You may not know who he is but you will and I guarantee you’ve heard his beats. His tunes are the base music for many of the up and coming hip hop Desi artists of the day - Humble the Poet, Mandeep Sethi, and Hoodini have all used tracks produced by him. Hailing from Montreal and well known on the Canuck Desi scene, Sikh Knowledge made his way to California for a mini-tour in December, hitting up cities all along the coast. I met him in Sacramento, where he was doing a show with his Sikh hip-hop posse at the Sol Collective. The show was live and it was intense to see a whole scene of brown underground hip hop heads. I sat down with Sikh Knowledge aka Kanwar Anit Singh Saini before he jumped on the mic at the Sacramento show. Here’s what he had to say. Sikh Knowledge got his start young, singing at the temple when he was a child. But he got into hip-hop also at a young age. “I was one of those kids that would beat box going to school… I was the only grade 3 kid bringing mixed tapes to school. I lost Bobby Brown’s “Every Little Step” on the playground and that’s when I cried at school.” It was when he heard the Sound Bwoy Burill track in 1994 that he knew he was going to make music his life. …a purple octopus in a turban swimming to the sounds of King Khan and the BBQ Show (and for bands that keep putting out music after alleged band break-ups). Invisible Girl – The King Khan and BBQ show from David Leclerc on Vimeo. … a sunshine-y hook by the controversial M.I.A. and contagiously happy Rye Rye. … “baagi music”, even though I’m not quite sure what Humble the Poet means when he sings that hook. I’m still singing along anyways. And downloading his album “00.03″. Outsourced should take a page out of this Conan O’Brien promo – this is how you do a gora guy in India and make it funny. And charming. But of course they won’t. Outsourced is an NBC show and NBC pathetically fired Conan off of The Tonight Show early this year after a meager 7 month run. I think the promo is witty and gorgeous. I’ve been trying to find out who and where it was made, but came up empty. I did find the following. Amex has been trying to lure Mr. O’Brien into appearing in a commercial since the company sponsored his comedy tour earlier this year. Several weeks ago, Mr. O’Brien said he was finally convinced by a funny script created by WPP PLC’s Ogilvy & Mather, as well as American Express’s past ads. Playing on Mr. O’Brien’s obsession for detail, the new ad shows the comedian taking a trip to India to search for the finest materials to make curtains for his new show. Mr. O’Brien is seen using a loom to weave the fabric; stomping on flower petals to make the dye and having a gossip session with the local washing ladies as he dyes the material. All I’m saying is that I’d like to have seen former first lady Barbara Bush get down to bhangra with village school girls. That is all I’m saying (h/t Sushil)! The Obamas are in India doing some politico-shmolitico-ness this week, as we have been following here at Sepia Mutiny. Lesson of the day: never underestimate a good dance number to bond transnational alliances. The NYTimes takes the time to interview some of India’s youth in preparation for Obama’s visit. This trip will be a good break for both Obama and the rest of us who are sick of American politics. In India there is still hope and change. This week I tweeted about how we need to get Desi famous folks to make a “Get Out the Vote” PSA for November 2nd’s election. I’ve brought this up before on Sepia Mutiny on how the only voting PSA I was able to find with a Desi person is from the infamous Sunny Leone. Well, the famous Desi folks have heard my appeal. Ok, they may have been working on this PSA before I tweeted at them. Aziz Ansari and Kal Penn (along with other famous people) are featured in the below Funny or Die video which I stumbled upon at 99Problems.org. Like Aziz says, “Do you realize how motivated stupid people are? Work up a little energy. Go vote.” Along those lines, I’m dressing up like the Chai Party this Halloween as I go Trick or Voting for my campaign. Does anyone have costume ideas? I was hesitant to make the two hour drive from Oakland to Sacramento on a late night after working a full day of campaigning. But when I stepped into Sol Collective in Sacramento and was embraced by a sea of brown faces, mainly Sikh kids from the local UC Davis campus, I knew I was stepping into something special and it was well worth the drive. Mandeep Sethi had put this show on, pulling together a gully line up of South Asian hip hop heads from Los Angeles based Hoodini, to Oakland based Ras Ceylon, to Toronto based Humble the Poet to Bay based Mandeep Sethi himself. The highlight of the evening was by far when Humble the Poet, Ras Ceylon and Mandeep Sethi took the stage together to spit a song that they had just created that week with a beat produced by Sikh Knowledge. You can peep my live recording of the song Gutter right here, but Ras Ceylon just tweeted at me that the official music video was up. Live and direct, here you go – Gutter. I’ve written about Humble the Poet and Mandeep Sethi in the past, but who is Ras Ceylon? I connected with him through Sri Lankan friends and when I moved to Oakland a couple months ago, I knew I had to connect. From L.A. to the Bay, Ras Ceylon has been a hip-hop reggae artist representing Oakland for the past ten years. I sat down with Ras Ceylon for a quick Q&A before he headed out to Jamaica on tour. It was a windy day by Lake Merritt in Oakland, so I had to edit the clip just a bit because of the sound – I transcribed some of it though which you can read after the jump. It’s absurd really how the immigration debate has been commandeered by people who have messaged this issue as though “brown” is only Mexican, and “the border” is the only way people cross into the U.S. Evidence of this can clearly be seen in dirty political ads that are coming out as the countdown to Election Day approaches November 2nd. Shahed Hossain was a Texan to the core. He spent most of his childhood and adolescence just outside of Fort Worth, dated a young women whose mother worked as an accountant for a military contractor, went fishing on the river with his best friend and held a weekend high school job scooping ice cream at a breakthrough near his family’s house.